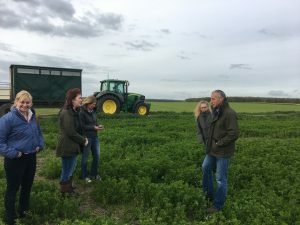 The EGF Team had a great afternoon showing visitors around the farm at the open day earlier this month. 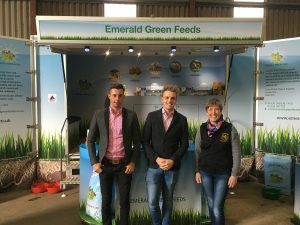 Brand Ambassadors Sarah Charnley, Flossie England, Maisie Farnham and the Creighton Shaw Show Team came along to tell people all about how they feed Emerald Green Feeds to their horses and the results it produces. 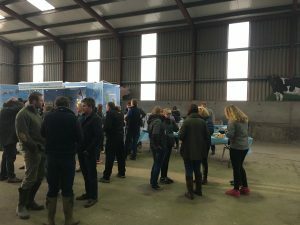 A huge thank you to everyone that came on the day, we hope you gained a little bit of an insight into how Emerald Green Feeds works, for those of you who didn't make it don't worry we'll do another day soon. Enter your email address below to be informed of new products, offers and news. All postcodes in England and Wales. DD, DG, EH, FK, G, KA (except KA27 & 28), KY, ML TD, AB1 to AB16, AB21 to AB25, AB30, AB39, PA1 to PA19, PH1 to PH3. AB31 to AB38, AB40 to AB56, IV1 to 28, IV30 to 40, IV52 to 54, IV63, KW1 to 14, PA21 to PA38, PA21 to PA38, PH4 to PH41, PH49 to PH50, Northern Ireland. HS, IV41 to 49, IV51, 55 & 56, KA27 & 28, KW15 to 17, PA20, PA41 to PA49, PA60 to 78, PH42 to 44, ZE, Isle of Man, Channel Islands.